The competition will be open to all new and existing customers, who will be required to wager £5 or more during Euro 2016 in order to place one prediction. 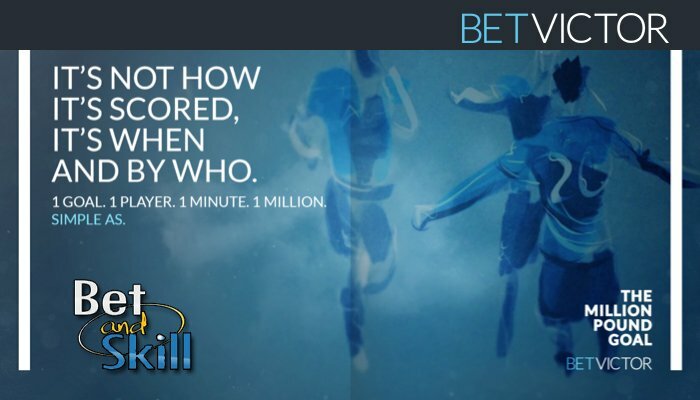 Customers can make their predictions for The Million Pound Goal any time after the conclusion of the second semi-final on the 7th July, up until the final kicks off on Sunday 10th July. 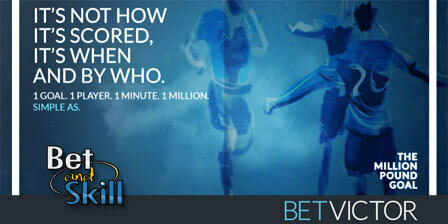 To earn their first prediction, BetVictor customers simply place a qualifying bet of £5 or more – after that every additional five qualifying bets will earn another prediction throughout the tournament and you can also earn additional predictions by playing the Million Pound Goal slot and/or virtual sports. In the event of there being more than one winner of The Million Pound Goal, the £1,000,000 will be shared out equally among the winners. If you are looking to have a bet on the Euro 2016 tournament then make sure you do it with BetVictor because you could end up winning £1,000,000! "BetVictor Million Pound Goal - Win £1,000,000 with the Euro 2016 final"